So, the new iPad is here, meaning that the iPad 2 can already be purchased at a discounted price. If settling down with the "old" version of the tablet is okay with you, $100 is what you will save no matter whether you purchase the device online or at a brick and mortar Apple store. 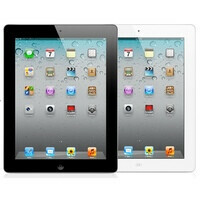 Interestingly, the West Farms Apple Store in Connecticut has sold an iPad 2 with twice the discount. As the receipt below goes to show, a lucky customer got his very own 32GB iPad 2 with Wi-Fi and 3G for $529. That is exactly what the Wi-Fi + 3G iPad 2 with 16 gigs of storage costs at Apple's online store, and $200 less than what the tablet was priced at prior to the new iPad's announcement. To us this seems to be a mistake on the cashier's part, who most likely applied a $100 discount to an already discounted iPad 2. That said, you shouldn't expect scoring an iPad 2 at $200 off as well. On the other hand, if you get lucky, we would be happy if you share it with us by dropping a comment below.